Regularly and properly cut grass areas not only look good but are less likely to have diseases, weeds and pests. 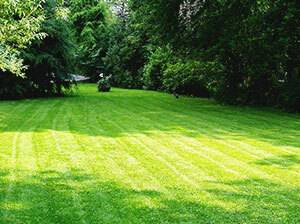 We can maintain the green areas around your property in presentable and good condition. The lawn mowing which we offer within Putney is professional and low-cost. We offer excellent services at reasonable prices that guarantee best results. Rely on our gardeners to make your property look better and have greater value. They can carry out all gardening works which you need done at the moment. The gardening experts in our company have the necessary skills, experience and knowledge to implement effective cutting of grass areas. They can revive the plants and the grass around your property by mowing the lawn to the necessary size, remove the weeds and spread proper detergents. Our gardeners can lay new turf in the bare areas, provide mulching, fertilizing, whole garden and yard clearance. Use our affordable lawn mowing services for your home or business property, located in Putney, SW15 and you won’t regret. Our gardeners can provide regular mowing once a week, fortnightly or whenever it is necessary to keep the grass properly cut. We offer one-off services as well which are recommended for overgrown grass areas. Our lawn care staff can implement other gardening tasks that are necessary at present and required by the customer. We offer discounts to the customers who book more of our gardening services. Use our customer centre to schedule the viewing of your lawn and the gardening services that you need done. 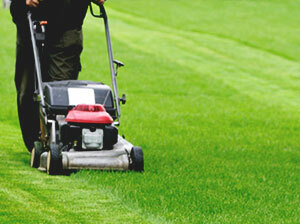 We provide lawn mowing in SW15 to property owners of houses and business estates. You can use our gardening services to make your property more valuable if you plan to sell or offer it for rent and receive a better profit from it.